Lloyd Millard Bentsen Jr. (February 11, 1921 – May 23, 2006) was an American politician who was a four-term United States Senator (1971–1993) from Texas and the Democratic Party nominee for vice president in 1988 on the Michael Dukakis ticket. He also served as the 69th United States Secretary of the Treasury under President Bill Clinton. 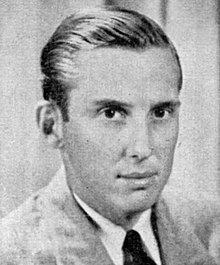 Born in Mission, Texas, Bentsen graduated from the University of Texas School of Law before serving in the Air Force during World War II. He was awarded the Distinguished Flying Cross for his service in Europe. After the war, he won election to the United States House of Representatives, serving from 1948 to 1955. He defeated incumbent Senator Ralph Yarborough in the 1970 Democratic Senatorial primary and won the general election against George H. W. Bush. 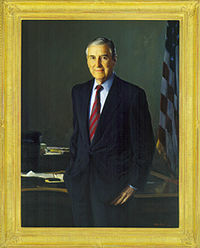 He was reelected in 1976, 1982, and 1988, and served as the Chairman of the Senate Finance Committee from 1987 to 1993. In the Senate, he helped win passage of the Employee Retirement Income Security Act and played a role in the creation of the individual retirement account. Bentsen sought the 1976 Democratic presidential nomination but was unable to organize an effective national campaign. Democratic presidential nominee Michael Dukakis chose Bentsen as his running mate in the 1988 presidential election, while the Republicans nominated Vice President George H. W. Bush and Senator Dan Quayle. During the 1988 vice-presidential debate, Quayle responded to a question about his inexperience by comparing his time in office up to that point to that of John F. Kennedy, causing Bentsen to castigate Quayle, saying, "Senator, you're no Jack Kennedy." Though Dukakis hoped that the selection of Bentsen would help the Democratic ticket win Texas, the Republican ticket won the state and prevailed by a wide margin in the nationwide electoral and popular vote. Bentsen considered running for president in 1992 but chose not to challenge Bush, who was popular after the Gulf War. After Bill Clinton defeated Bush in the 1992 general election, he offered Bentsen the position of Secretary of the Treasury. 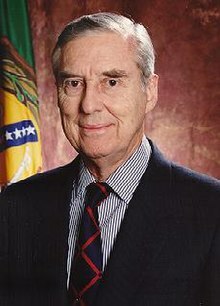 Bentsen accepted, and as Treasury Secretary he helped win the ratification of the North American Free Trade Agreement and the passage of the Omnibus Budget Reconciliation Act of 1993. Bentsen retired from Clinton's Cabinet in December 1994 and was succeeded by Robert Rubin. He was awarded the Presidential Medal of Freedom in 1999 and died in his home in Houston in 2006. Bentsen was born in Mission in Hidalgo County to Lloyd Millard Bentsen, Sr. (referred to as "Big Lloyd"), a first-generation Danish-American, and his wife, Edna Ruth (Colbath). At age 15 he graduated from Sharyland High School in Mission. Bentsen was an Eagle Scout and recipient of the Distinguished Eagle Scout Award from the Boy Scouts of America. After brief service as a private in intelligence work in Brazil, he trained to be a pilot and in early 1944 began flying combat missions in B-24s from Foggia, Italy, with the 449th Bomb Group. At age 23, he was promoted to major and given command of a squadron of 600 men, overseeing the operations of 15 bombers, their crews, and their maintenance units. He was promoted to lieutenant colonel before being discharged in 1947. Bentsen flew thirty-five missions against many heavily defended targets, including the Ploiești oil fields in Romania, which were critical to the Nazi war production. The 15th Air Force, which included the 449th Bomb Group, destroyed all petroleum production within its range, eliminating about half of Nazi Germany's sources of fuel. Bentsen's unit also flew against communications centers, aircraft factories and industrial targets in Germany, Italy, Austria, Czechoslovakia, Hungary, Romania, and Bulgaria. Bentsen participated in raids in support of the Anzio campaign and flew missions against targets in preparation for the landing in southern France. He was shot down twice. After the war, Bentsen returned to his native Rio Grande Valley. He served the people of his home area from 1946 to 1955, first as Hidalgo County Judge (a largely administrative post as opposed to a judicial one). First elected in the Truman landslide of 1948, he served three successive terms in the United States House of Representatives. With the South, including Texas, still mostly home to Yellow dog Democrats, winning the Democratic nomination was tantamount to election, and Bentsen was unopposed by Republicans in each of his three House campaigns. He became a protégé of Speaker of the House Sam Rayburn and developed a reputation as an excellent poker player. Bentsen's campaign and his reputation as a centrist Democrat served to alienate him not only from supporters of Yarborough, but from prominent national liberals, as well. Indeed, during the 1970 Senate race, the Keynesian economist John Kenneth Galbraith endorsed the Republican candidate, then U.S. Representative and future president George H. W. Bush, arguing that if Bentsen were elected to the Senate, he would invariably become the face of a new, more moderate-to-conservative Texas Democratic Party and that the long-term interests of Texas liberalism demanded Bentsen's defeat. Nevertheless, Bentsen convincingly won the general election against Bush. 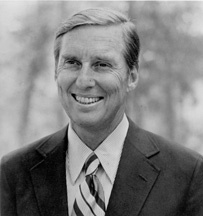 Beginning in 1974, Bentsen campaigned for the Democratic Party's 1976 presidential nomination. In 1974 he visited 30 states and raised $350,000 at a single fundraiser in Texas. Bentsen formally announced his candidacy on February 17, 1975, and in the early part of that year he had already raised over $1 million for his campaign; only George Wallace of Alabama and Henry M. "Scoop" Jackson of Washington state had raised more money by that point. Bentsen did not organize effectively on a national level, and many observers believed the freshman senator was running without any real hope of winning the nomination, hoping instead to secure a vice-presidential nomination. Bentsen meeting with President Jimmy Carter in 1978. Bentsen in his early career. In 1988, Governor Michael Dukakis of Massachusetts chose Bentsen to be his running mate in that year's presidential election, beating out Ohio Senator John Glenn, who was considered the early favorite. Bentsen was selected in large part to try to lure away the state of Texas and its electoral vote for the Democrats, even with fellow Texan George H. W. Bush at the top of the Republican ticket. Because of Bentsen's status as something of an elder statesman who was more experienced in electoral politics, many believed Dukakis's selection of Bentsen as his running mate was a mistake in that Bentsen, number two on the ticket, appeared more presidential than did Dukakis. During the vice presidential debate (see below), Republican vice presidential nominee Dan Quayle spent most of his speaking time criticizing Dukakis as too liberal while avoiding a match up with the seasoned Bentsen. One elector in West Virginia even cast a ballot for him rather than Dukakis, giving Bentsen one electoral vote for president. Bentsen was responsible for one of the most widely discussed moments of the campaign during the vice presidential televised debate with fellow Senator Dan Quayle. In answering a question about his experience, Quayle stated that he had as much political experience as John F. Kennedy had when he ran for the presidency. Bentsen, at the age of 67, retorted, "Senator, I served with Jack Kennedy. I knew Jack Kennedy. Jack Kennedy was a friend of mine. Senator, you're no Jack Kennedy." Quayle replied, "That was really uncalled for, Senator." Bentsen responded, "You're the one that was making the comparison, Senator." Peter Goldman and Tom Mathews wrote in The Quest for the Presidency 1988 that Bentsen "was the forgotten man" of the campaign until the exchange with Quayle. Thereafter, his "gray solidity" was "made luminescent by the pallor of the other three men. However, there have been questions raised as to how well Bentsen really knew Kennedy. Some have claimed they only had a nodding acquaintance." Bentsen had in fact considered in advance how to respond, because Congressman Dennis E. Eckart, who played Quayle in Bentsen's rehearsals, knew that Quayle had previously compared himself to Kennedy, so he worked it into Bentsen's debate preparation. Quayle had been prepped by Senator Bob Packwood, as Packwood served with Bentsen on the Senate Finance Committee. The Dukakis-Bentsen ticket lost the election. Bentsen was unable to swing his home state, with 43 percent of the Texas vote going for the Dukakis ticket while Bush and Quayle took 56 percent. However, Bentsen was simultaneously re-elected to the United States Senate with 59 percent of the vote. Bentsen considered running for president in the 1992 presidential election, but he, along with many other Democrats, backed out because of Bush's apparent popularity following the 1991 Gulf War. A poor economy in 1991-92 eroded Bush's standing among voters and he ended up losing the election to Bill Clinton. Appointed to Clinton's cabinet as Treasury Secretary, Bentsen helped win crucial Republican votes to pass the North American Free Trade Agreement (NAFTA) and the Uruguay Round of the General Agreement on Tariffs and Trade (GATT). Bentsen also was pivotal in winning passage of the 1994 crime bill which temporarily banned assault rifles. After the resignation of Les Aspin in early 1994, Bentsen was seriously considered for the position of Secretary of Defense. This prospect, however, did not materialize and William Perry, then Deputy Secretary of Defense, was chosen to succeed Aspin. In early December 1994, Bentsen announced his retirement as Secretary of the Treasury. Before election day he had discussed with President Clinton that he was not prepared to stay in office until the end of Clinton's first term in 1997. He was succeeded in the position by Robert Rubin. In 1998, Bentsen suffered two strokes, which left him needing a wheelchair. In 1999 President Clinton awarded Bentsen the Presidential Medal of Freedom, one of the nation's highest honors given to civilians. President Clinton singled Bentsen out for applause during his final State of the Union address in 2000, saying: 'In 1993 we began to put our fiscal house in order with the Deficit Reduction Act, which you'll all remember won passages in both Houses by just a single vote. Your former colleague, my first Secretary of the Treasury, led that effort and sparked our long boom. He's here with us tonight. Lloyd Bentsen, you have served America well, and we thank you.' Bentsen appeared in the summer of 2004 at the portrait unveilings at the White House of former President Bill Clinton and former First Lady Senator Hillary Clinton. Bentsen died on May 23, 2006, at his home in Houston at the age of 85. He was survived by his wife, the former Beryl Ann Longino, three children, and seven grandchildren. His memorial service was held on May 30 at the First Presbyterian Church of Houston, where Bentsen and his wife had been members for many years, and was presided by his then pastor, William Vanderbloemen. He is interred in Forest Park Lawndale Cemetery. Former president Bill Clinton, who was a close friend, delivered a eulogy. His legacy also includes many water, wastewater and other infrastructure projects in the impoverished Colonia of south Texas, the preservation of natural areas across the state, and major funding for numerous medical facilities. Bentsen's retort to Vice President Dan Quayle during the 1988 vice presidential debate, "You're no Jack Kennedy," has entered the lexicon as a widely used phrase to deflate politicians who are perceived as thinking too highly of themselves. Bentsen is also known for coining the term astroturfing. Bentsen's family continues to be active in politics. His nephew, Ken Bentsen Jr., was a U.S. Representative (D) from 1995 to 2003 in Texas's 25th District, and a U.S. Senate candidate in 2002. His grandson, Lloyd Bentsen IV, served on John Kerry's advance staff during Kerry's 2004 campaign for the presidency of the United States. ^ Hendrickson, Kenneth E. Jr.; Michael L., Collins; Cox, Patrick (2004). Profiles in Power: Twentieth-Century Texans in Washington. Austin, TX: University of Texas Press. p. 257. ISBN 978-0-292-70240-0. ^ Fortune, Kirston (May 23, 2006). "In Memoriam: Former U.S. Sen. Lloyd M. Bentsen, '42, 1921-2006". The University of Texas School of Law. The University of Texas. Archived from the original on September 9, 2006. Retrieved December 24, 2014. ^ "Harvard and Columbia Moving Toward Switch to J.D. Degree". Rhode Island Bar Journal. Providence, RI: Rhode Island Bar Association: 263. May 1, 1969. ^ "In Memoriam: Lloyd Bentsen". The Alcalde. Austin, TX: Ex-Students' Association of the University of Texas: 92. July 1, 2006. ^ "Profile: Brother Lloyd M. Bentsen". Delta magazine. Vol. 96 no. 3. Sigma Nu Fraternity. 1982. p. 3. Retrieved November 21, 2014. ^ "Lloyd M. Bentsen, Sr". Texas Military Forces Hall of Honor. Texas Military Forces. Retrieved November 21, 2014. ^ a b "Vice President Dan Quayle Interview - Debating Our Destiny - Dec. 2, 1999 - PBS". www.pbs.org. ^ "Great Speeches". The History Channel. Archived from the original on November 16, 2004. ^ Halloran, Liz (January 17, 2008). "Lloyd Bentsen To Dan Quayle: "Senator, You Are No Jack Kennedy"; Texas Sen. Lloyd Bentsen delivered one of the most devastating slights ever". U.S. News & World Report. ^ a b "Lloyd Bentsen Biography". US Department of the Treasury. Archived from the original on May 27, 2010. Retrieved March 26, 2011. ^ Bradsher, Keith (December 6, 1994). "Bentsen is Poised to Leave Cabinet Officials Confirm". The New York Times. Retrieved January 21, 2010. ^ Grant, Alexis (May 30, 2006). "Houston church prepares for Bentsen memorial". Houston Chronicle. This page was last edited on 20 March 2019, at 05:08 (UTC).